These universal pliers are a German brand-name product. The grip is made from extremely sturdy plastic and has a hard rubber-inlay, making it both rugged and comfortable. The grip is shaped ergonomically and has an integrated roll-off protection to prevent slipping. The cutting edges are made from special tool steel, oil-hardened and additionally inductively hardened. 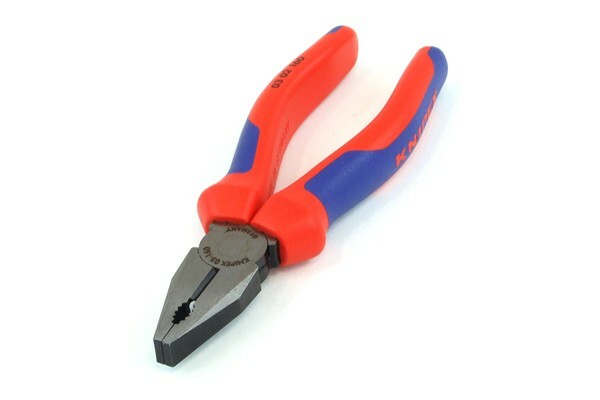 This makes the pliers even more long-lived even under heavy use. The dimensions of this tool are normed according to the DIN 5746.